Here's how we're doing all we can to make our historic building as green as possible. We've already had some successes. 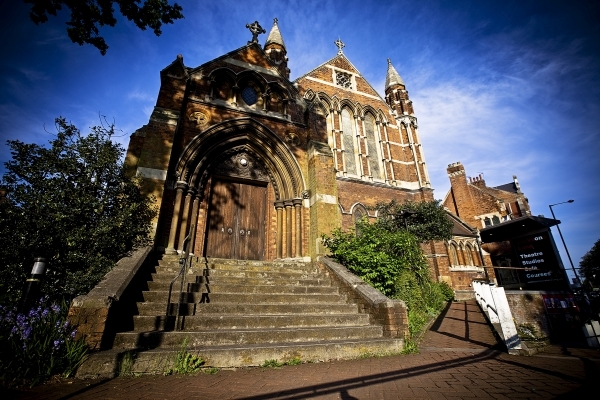 Jacksons Lane is conveniently situated opposite Highgate Tube Station, on the High Barnet branch of the Northern Line. Numbers 43, 134 and 263 stop right outside as do the night buses N20 and N134. There is no car park at our venue and parking on surrounding roads is very limited, so we recommend public transport. Jacksons Lane is situated on the A1 with limited free parking on surrounding roads and Highgate tube station from 12pm Monday - Friday and all day Saturday and Sunday. Shepherds Hill, situated directly opposite, has restricted parking from 2pm - 4pm during the week. If you’re driving an electric car to Jacksons Lane, the nearest charging points are located at St Aloysius School (N6 5LY), or in the Whittington Hospital Car Park (N19 5NF). Please check online before you travel to ensure charging points are available.